Essence grew up riding & showing horses in a cozy little town in rural Ohio, where the fundamentals of Loving life to the fullest, enjoying time Family & Friends meant everything and that carries into SL & into every performance. She has not only enjoyed live vocal performing within sl, but she has also had the opportunity to sing with many great local bands around her state. Essence then began learning stage performance, and opened her eyes to a wide range of music above and beyond her generation. Now she comes to Second Life to share her passion for music with all of us at many great venues. 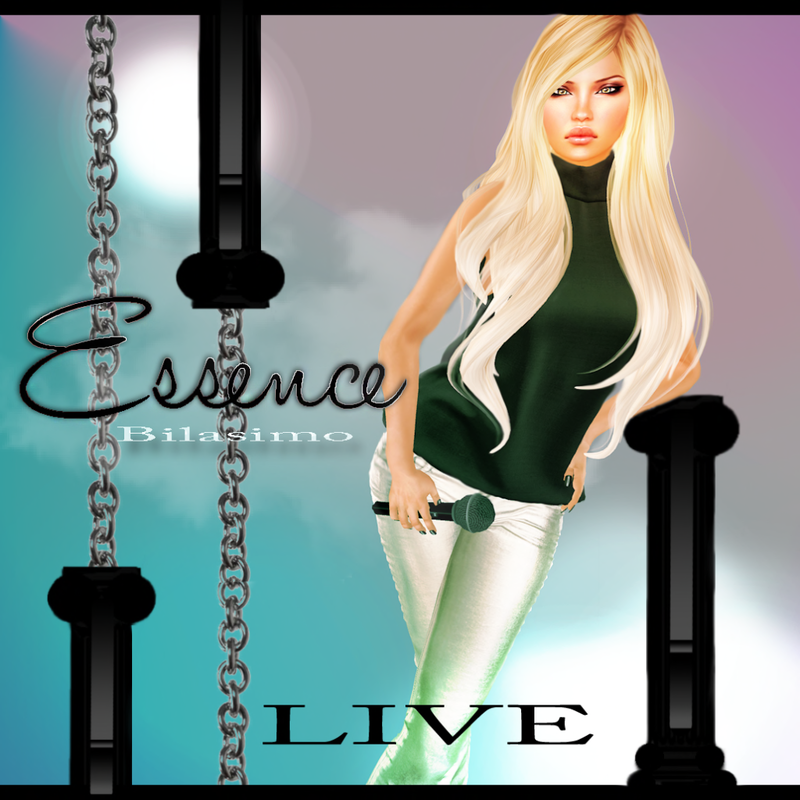 Essence comes to SL to enjoy and share her passion for music as you will hear within every song she sings for us, as we are an Essential part of the experience! She will enchant your hearts and let you feel the true pure emotion that each song was meant to give! Essence has a wide vocal and musical range, including however not limited to R&B, Country, Pop, Rock, and Classic Rock! You never know what she’ll be adding to her expanding repertoire, and it’s always a good time! -The event must be posted with SL Events under LIVE MUSIC before the performance date. -There must be someone present to put stream into the land’s media. – Please make sure you have sent a tag so she can rez, list, and change streams BEFORE THEN . – Please specify the style or music you want to hear.